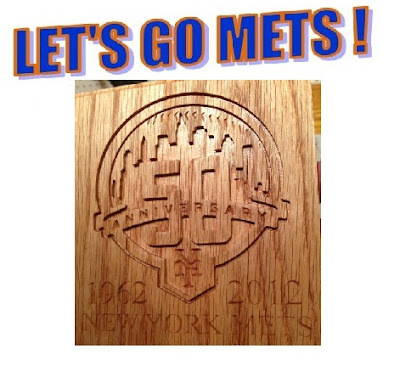 The "2nd half" of the 2012 MLB season commences today with our Mets in 3rd place in the NL East 6 games over the .500 mark with a 46 -40 record. As has been the case for much of the 2012 campaign thus far the injury hits keep coming as young Dillon Gee was diagnosed with a blood clot in his shoulder which will now require artery repair surgery which may possibly sideline the young hurler for the balance of the season. Hopefully David Wright will continue his MVP caliber season and the New Yorkers will see mroe positive contributions from Johan Santana and RA Dickey along with a resurgent Ike Davis to keep the club in pursuit of meaningful September baseball. While the Mets are a pleasant surprise despite all of their injury woes the hometown St. Louis Cardinals find themselves with an identical record also in 3rd place in their NL Central division although the Redbirds trail the 1st place, upstart Pittsburgh Pirates by just 2-1/2 games while the Mets sit 4-1/2 games back of the Nationals in the East. The Cards are strongly in the playoff hunt despite the loss of Chris Carpenter for the year and have enjoyed remarkable first halves from the likes of free agent signee Carlos Beltran and the arms of Lance Lynn and Kyle Lohse. Yadier Molina has done yeoman like work behind the plate for St. Louis and the backstop will be severely tested to repeat the impressive 1st half he posted as the weather continues to heat up here in the hell that is the mid-west. AS ALWAYS LET'S GO METS ! ..& GO CARDS !